LP version of highly acclaimed debut album by Greek masters. 10 tracks of barbarian and chaotic black metal. For the first time ever on vinyl with two unreleased tracks prepared exclusively for this release. 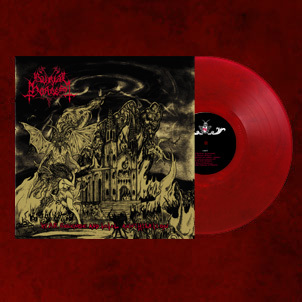 12” red vinyl, packed in gatefold and limited to 333 units. First 100 LPs available only via Witching Hour webstore as ‘die hard’ edition with A2 poster, sticker and patch.